Yes! Another great release. Thanks BuZz and everyone else that helped fix bugs and what not. So stoked! Thanks for the hard work guys. It’s amazing how modern a 10 year old piece of hardware can be. Thanks for the updated scrapers. Great work! Absolutly amazing 🙂 Thanks a lot for new release. And also for keeping the name up. 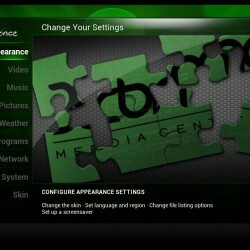 Xbmc is the best f*** off the rest. Thanks is always good to hear news for my old xbox . And the Xbox lives on! Thank you so much. I’m lost for words. Greater than great! Awesome work…thank you to all the guys involved!! hard work for sure …may the force be with you 🙂 …to carry on with this very famous project. Sorry if this is a dumb question, but where can one download this Final Release? When I wont to watch movie in div-ix format from folder with .srt file with same name as is .avi file burned on DVD disc program not reading , or not presenting subtitles. On old xbmc (3.0,3.1,3.2.1)on same xbox consoles everything work fine. Grand work guys!! keep it up! Hi,it is Irene from SZTOMATO. Where can I download this final release? Search in the forum for releases.